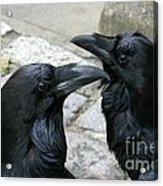 Queen duvet cover (88" x 88") featuring the image "Tower Ravens" by Ann Horn. Our soft microfiber duvet covers are hand sewn and include a hidden zipper for easy washing and assembly. Your selected image is printed on the top surface with a soft white surface underneath. All duvet covers are machine washable with cold water and a mild detergent. Many thanks, Darin. Glad you like these Tower of London inhabitants. Please know that your gracious and careful attention to my images is very much appreciated, Kevin. It prods me to take time to look at them with new eyes, while at the same time reliving that portion of the day when I took the each photo. 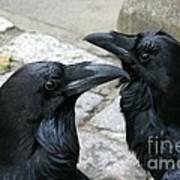 Roxane, thank you for featuring Tower Ravens in the Old World group. Anita, thank you for featuring Tower Ravens in the Poetic Poultry group. Don, thank you for featuring Tower Ravens in A Birding Group - Wings. Congratulations Ann, your work is Featured in "A Birding Group - Wings"! Geordie, many thanks for featuring Tower Ravens in The City of London Artwork group. Thank you, Georgia. They are quite the pair, aren't they! Many thanks for your kind words of congratulation, Barbie. Much appreciated. Congratulations on the graduation of this iconic image from The 200 Club and congratulations on over 500 well-deserved views. 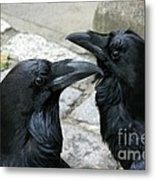 Mariola, many thanks for featuring Tower Ravens in the 500 Views - i Images a Day group. 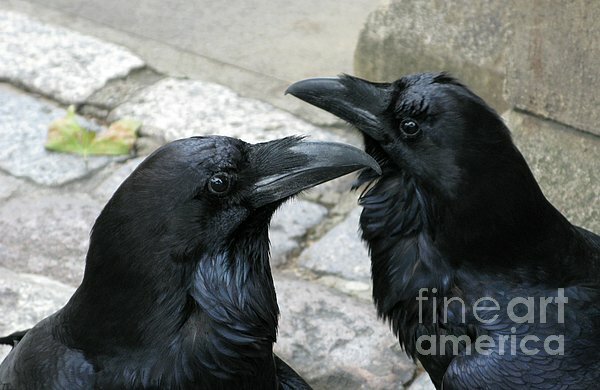 Evie, thank you for featuring Tower Ravens in the Images of Europe group. Thank you for your kind comment, Edgeworth. Very much appreciated. Sharon, thank you very much for featuring Tower Ravens in the Dimensions group. Sharon, many thanks for featuring Tower Ravens in the Dimensions group. Favorites of tourists, at least six ravens must be kept in residence at the Tower of London, England, lest both tower and monarchy fall, according to legend. To prevent escape, one wing of each bird is clipped to unbalance its flight. Copyright 2007 Ann Horn. ALL RIGHTS RESERVED. This copyrighted image does not belong to the public domain and may not be reproduced, copied, altered or manipulated in any way without the written permission of Ann Horn. ann-horn.pixels.com. pixels.com Group Features: Old World. Poetic Poultry. A Birding Group -Wings. The City of London Artwork. 500 Views. Images of Europe. Dimensions. Historic Britain and Ireland.